Knitting is a hobby that has been around for a very long time and has become synonymous with relaxation and quiet time. For beginners, the skill will follow a learning curve, but it is not very daunting. 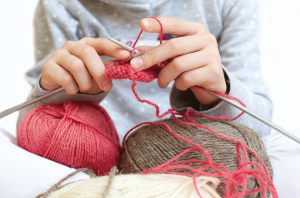 Knitting is more than just yarn and needles, it is creating. Creating a scarf or a blanket for loved ones or friends or even a sweater or a purse not only gives satisfaction when completed, but joy to those receiving your hard and enjoyable work. Watching videos has lessened the learning curve substantially and provides the visual context to enhance the instruction. After watching an instructional video, the use of interactive videos would be the most helpful. Tutorials are another important method to learn and you will also see and learn the basic fundamentals as well as the various techniques. Of course, one can never forget grandma. For years, many have sat with grandma over long conversations and watched her create masterpieces. They share their own secrets and styles that not only make knitting more fun, but easier as well. As with any discipline, patience is essential. Whatever project you choose, you have to remember that it will not be done overnight. 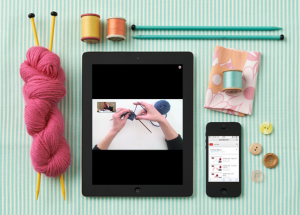 Knitting can be done while watching television or during your quiet time. It will also improve your ability to focus. Should you use the continental style or the English style or should you comingle the two? What method should be adopted, the combination, the Portuguese or the lever? Whichever method or style you use is the one that are right for you. There will be trial and error and you will get to a place where you will find your natural style. So pick up some yarn and needles and create your own masterpiece.